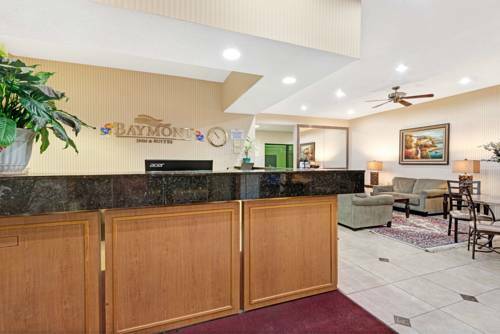 Enjoy the hometown hospitality at this Baymont Inn and Suites Lawrence just minutes south of Interstate 70, across from Centennial Park and close to the University of Kansas, the Spencer Museum of Art and historic downtown Lawrence. Pets are welcome at this hotel, which features complimentary wireless Internet and complimentary breakfast, as well as 32-inch flat-screen TV in all guest rooms, a business center with computer access and a guest laundry facility. Work out in the exercise center and splash in the heated indoor pool and hot tub, and children's pool. Complimentary parking is available and also bus parking, and there is no charge for kids 17 and under when accompanied by an adult. Where does Angus beef come from? Prince Eric of Sunbeam. Pay your respects at his tombstone, and ponder what lies inside the adjacent time capsule.